Hello everyone! 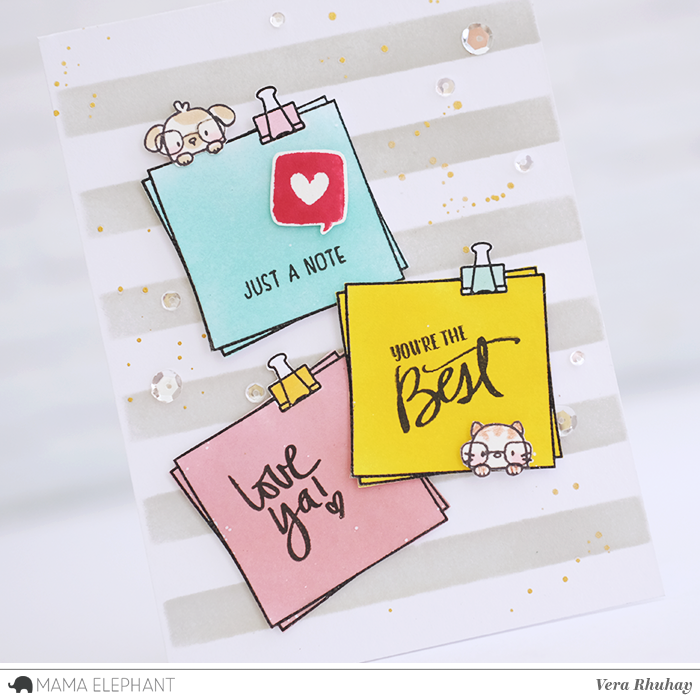 It's Vera here today with ideas how to use Sticky Notes stamp set. 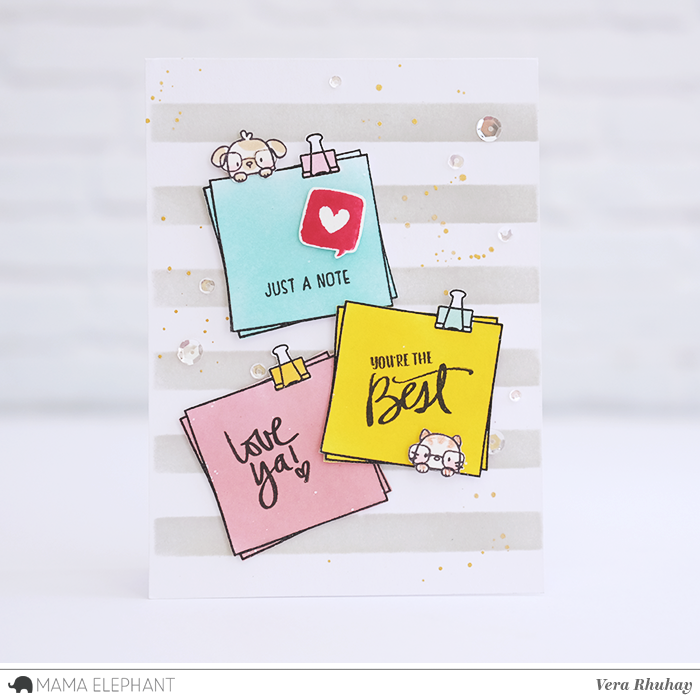 First, I create a card and used Classic Stripe Cover plate die as stencil to create the background. I stamped the sticky notes with Versafine Ink Black and then heat embossed with clear embossing powder. 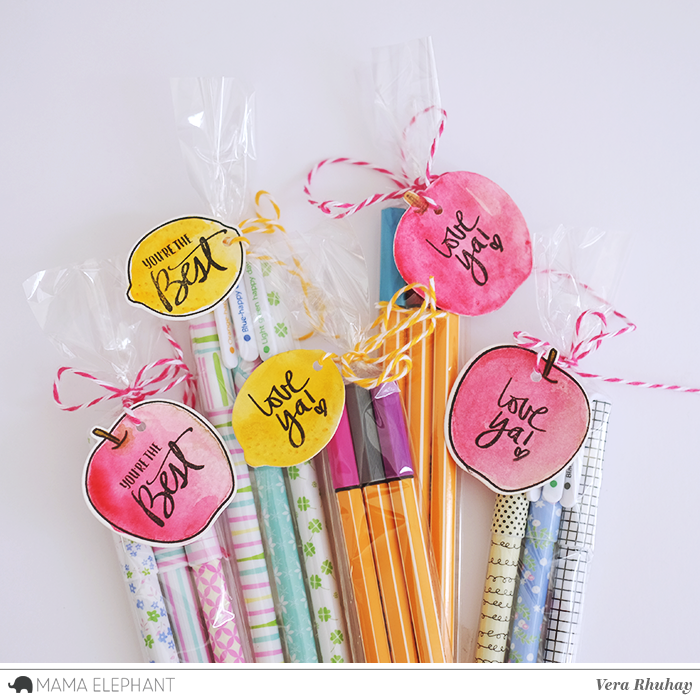 Cover the clip images with washi tape and blending with distress ink. On Bristol Paper, I stamped the cat and dog images from Sticky Notes set and added glasses from Little Emotions stamp set with Memento Ink, colored with Copic and hand cut with my scissor. For my second project, I created Fruit Tags and cover for my "Post it note"
Here I combined with Fresh Fruits stamp set and the coordinating creative cut. 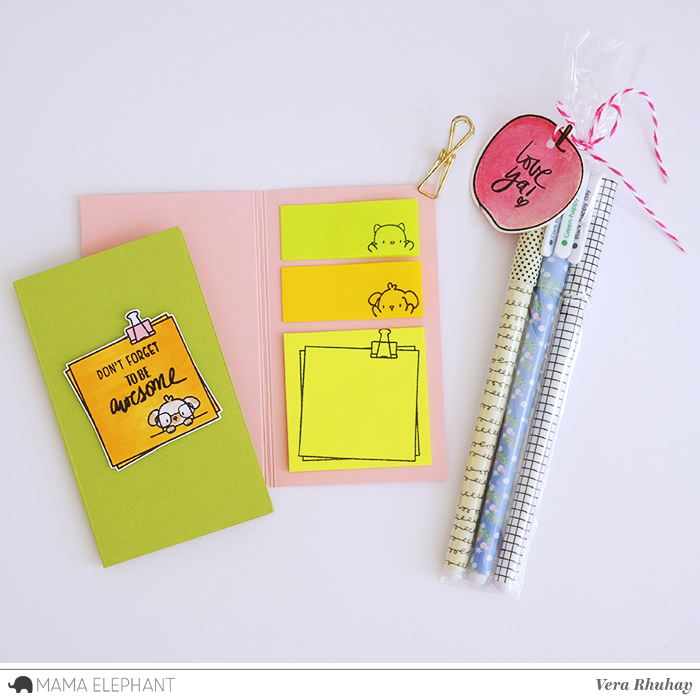 And last, this is how I used Sticky Notes stamp set on my Daily Notebook which is perfect to pair with Little Cat Agenda and Little Dog Agenda! 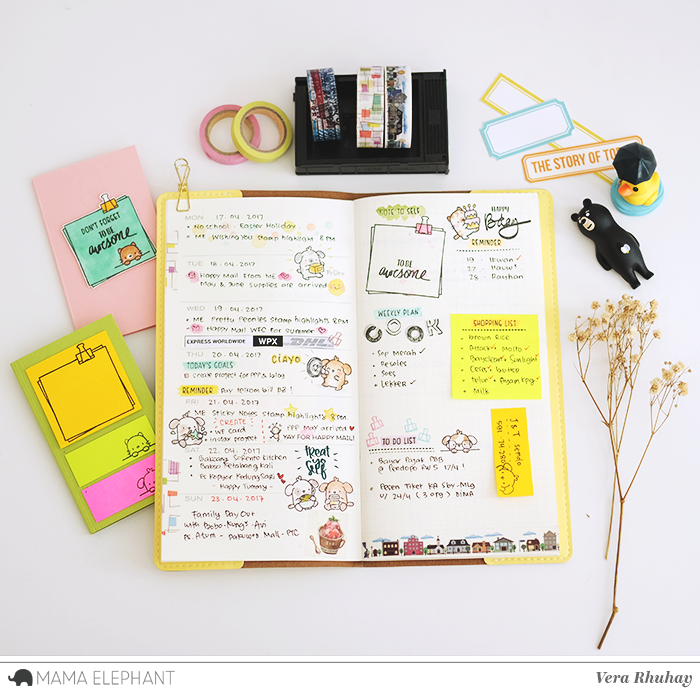 Lovely projects and great ideas! 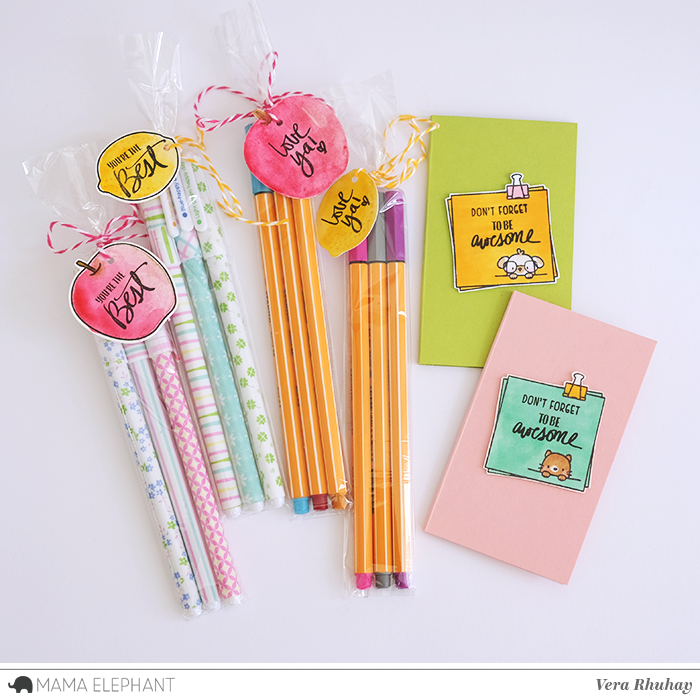 Cute darling projects. love the images. OMG!!!!! This is Amazing...a wonderful gift idea!